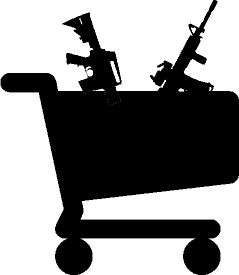 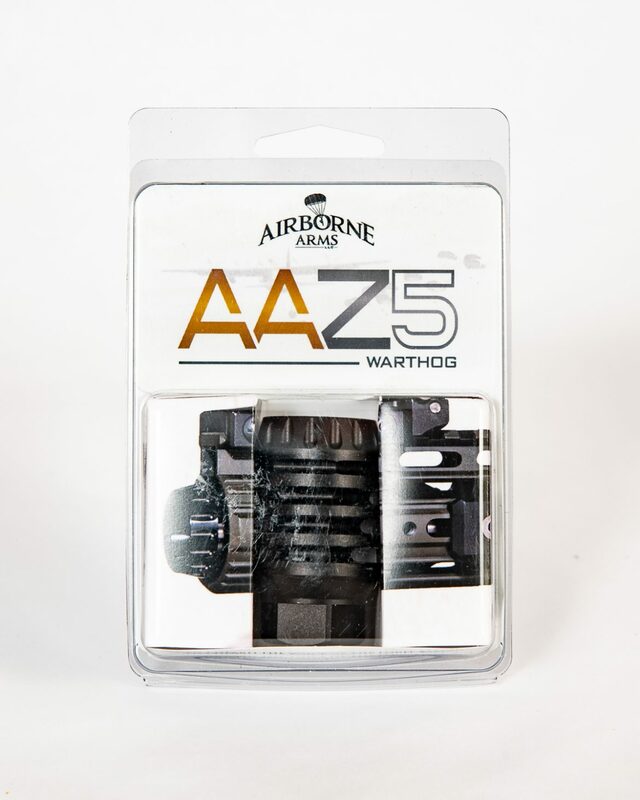 Introducing Airborne Arms LLC’s newest offering to the muzzle devices realm of the AR world. 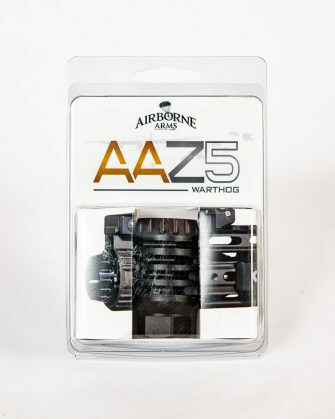 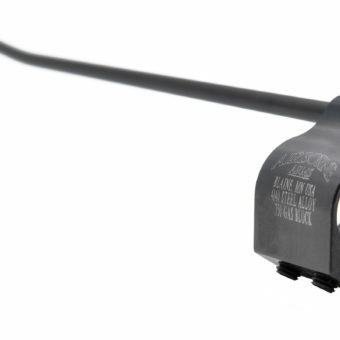 The AAZ5 Warthog series of Linear Compensators. 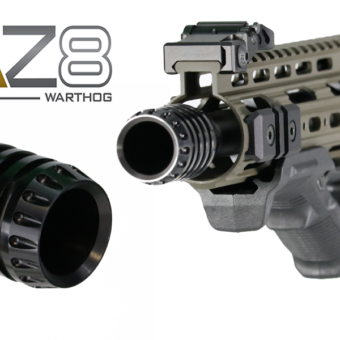 The AAZ5 Warthog uses a unique approach to an age old design. Machined from bar stock, 7075-T6 Aerospace Aluminum Alloy, this 1.8 ounce device sheds up to 70% of its weigh (over its Ordnance grade steel counterparts). 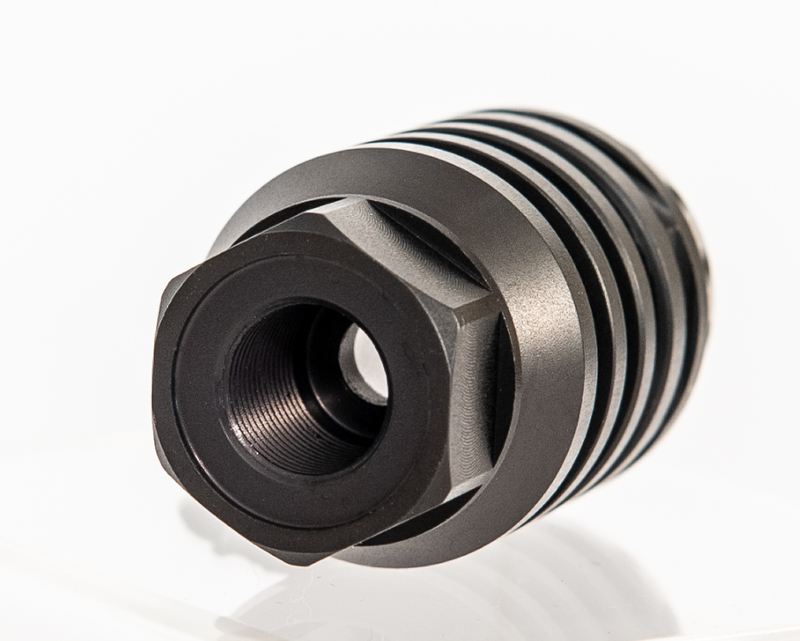 This aluminum is then made stronger, using our proprietary, hard coat anodizing process. 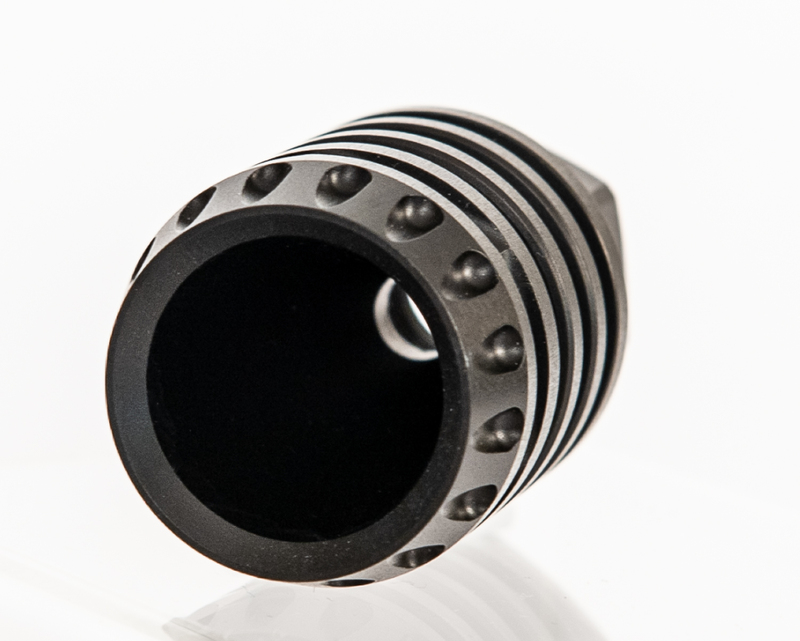 This type of anodizing process is typically found in the automotive and aerospace industry. Featuring a standardized, 1/2×28 T.P.I. 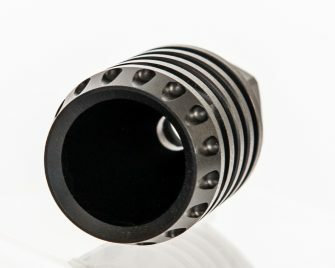 thread pitch, this device will fit most standard 22/223/5.56 (or rifle with like thread pitch). 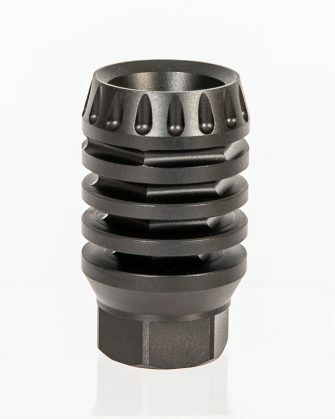 This device is Lathe turned, then CNC Machined in Minnesota USA, by Veteran Owned small businesses of the United States.